Stay connected while traveling abroad. 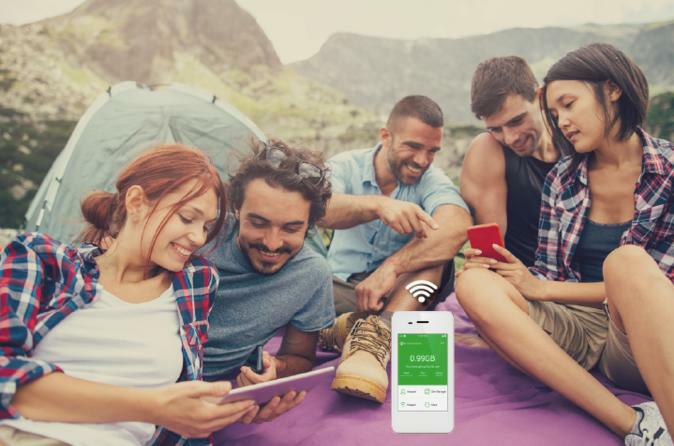 The pocket size WiFi router lets you stay connected with a secure high-speed internet on the go for up to five devices simultaneously. Stay connected at all times while using google maps, Facebook, Instagram, twitter or just surf the internet. No need to pay expensive and slow roaming charges or having to rely on the hotel WiFi. Unlike SIM cards, you do not have to change setting on your devices, just turn on the WiFi router and connect. Best way to stay in touch with family and friends back home and share your travel experience with the world! Easy 3 Steps – Reserve, Pick up at LAX, Return the device at LAX on your last day of rental. This is a rental service. The device must be rented for the entire duration of your trip. If the device is not returned after the duration, we reserve the right to deem the device “lost” and charge the customer $400/device. Pick up and return at LAX only. “Unlimited Data” – 500mb/day of high-speed 4G/LTE data, will slow down to 2G speed after exceeding the limit. Daily high-speed data allowance reset at midnight UK time.